How's business? That’s the magic question that begins most conversations between business partners be it rep to rep, rep to factory, rep to dealer, or rep to end-user...and the MAFSI Barometer answers it...every quarter. We break down the market into its sub-components of equipment, supply, tabletop, and furniture. 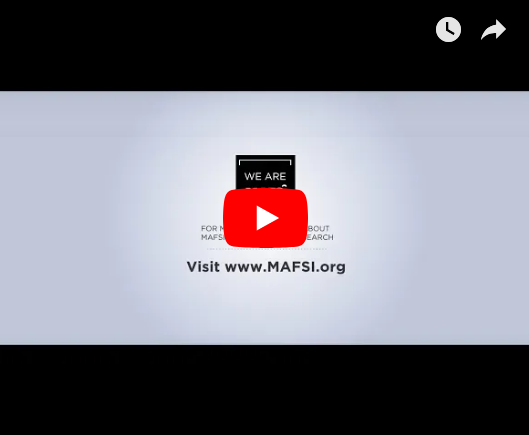 MAFSI reps are hired by our principals for their local market expertise and the Barometer is a tool for all reps to understand the pulse of their territories. To view the past surveys please click on the links below. Q4/18: MAFSI Business Barometer ends 2018 with slow growth. Growth of +2.2% for Q1 2019. Q1/16: MBB Continued Solid Gains in E&S Sales in First Quarter; Steady Expectations for 2Q/16. Q1/15: MBB Overall sales for Q1/15 compared with Q1/14 grew by a healthy 4.7%, stronger than 2.9% of Q4/14, and in line with the forecast of 4.6%. Q2/10: MBB reports improvement since last quarter and Q3 to also improve at -2.7%. Q1/10: MBB shows the market is turning at -5.3% contraction. Q1 numbers are less negative than previous quarters. Q4/09: Overall sales declined -12.8% for Q4/09. Confidence index for Q1 is -6.9 and -3.9% for 2010. Q3/09: Overall sales declined -11.5%. Q4 Forecast is -10.4%. Q2/09: Overall sales declined -12.8%. Confidence index for Q3 is -11%. Q1/09: Overall sales for Q1/9 contracted by -11%. Confidence index for Q2/09 is -9.7%. Q4/08: Overall sales fell by -4.7% for fourth quarter 2008. Even deeper decline forecast for Q1/09 at -7.3%. Q3/08: Overall sales for Q3/08 contracted by -2.8%, the third consecutive quarter of negative growth. Fourth quarter is forecasted to decline -4.7%. Q1/08: MAFSI reps report lower sales for Q1/08; first decline since Q3/03. Sales forecast for Q2/08 is -0.5%. Q4/06: MBB Holds at +4.5%; Outlook for Q1/07 is for slower growth. Q3/06: MBB Reports +4.5% Increase in Sales; Forecasts +4.6% Increase for Q4/06. Q2/06: MBB Reports +3.4% Increase in Sales; Forecasts +4.2% Increase for Q3/06. Q1/06: MBB Reports +2.7% Increase in Sales; Forecasts +3.6% Increase for Q2/06. Q4/05: MBB Reports +3.8% Increase in Sales; Forecasts +3.3% Increase for Q1/06 and 5.4% Overall Increase for 2006. Q3/05: MBB Reports +2.5% Increase in Sales; Forecasts +2.8% Increase for Q4/04. Q2/05: MBB Reports +2.9% Increase in Sales; Forecasts +3.6% Increase for Q3/05. 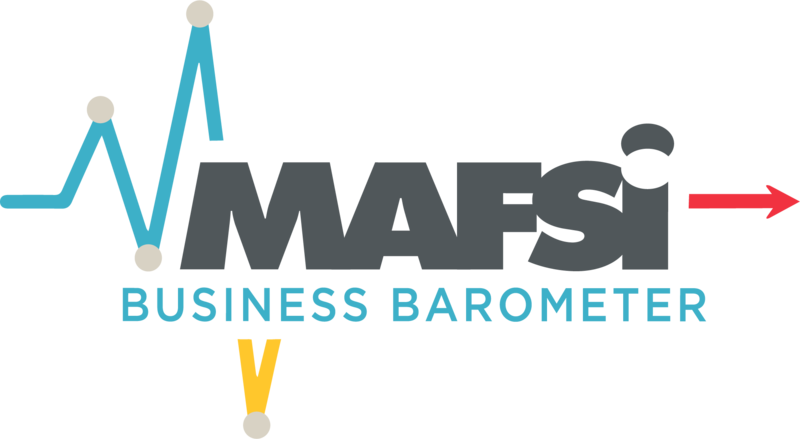 The MAFSI Business Barometer results are sent to all MAFSI members, as well as industry publications each quarter. It is critically important that this information - which is sent to everyone in the industry - is precise. That's why we need all rep firms to participate in this survey every quarter. For MAFSI to truly measure the marketplace as accurately as possible its imperative we have all responses from our agencies. The information you provide is always confidential. Please e-mail [email protected] with questions.